The U.S. Food and Drug Administration (FDA) has approved a novel drug to protect against ototoxicity (harmfulness to hearing) due to the use of aminoglycoside antibiotics to treat severe infections. The FDA approval paves the way for a Phase I clinical trial to test whether the drug, found to be significantly protective in animals, is safe for humans. Mature lateral line hair cells from larval zebrafish (shown with the neuromast sensory organ enlarged) serve as a platform for studying drugs and genes that modulate hair cell susceptibility to ototoxic agents. After screening libraries of potential chemicals to see which stopped hair cell death in zebrafish lateral line system, Rubel, Raible, and team identified the best candidate and then boosted its effectiveness by tweaking its chemical structure; results were published in the Journal of Medicinal Chemistry in January 2018. Rubel adds, “Toxicity studies in zebrafish, rats, and dogs required by the FDA show superior safety and nearly 100 percent hearing protection at all frequencies.” If the Phase I trial shows the drug is safe for humans, the next step is to test its efficacy among patients using aminoglycosides. On February 11th, Hearing Health Foundation (HHF), the nation’s largest nonprofit funder of hearing and balance research, hosted a public seminar on hearing health and hearing loss in at the Central Library in Downtown San Diego. Guests mingle before the start of presentations on hearing loss research and treatments in the Shiley Special Events Suite of the San Diego Central Library. Event attendees included members of the public, scientists and researchers, many of whom have devoted their careers to finding a cure for hearing loss. Ronna Hertzano, M.D., Ph.D., a surgeon at the University of Maryland Medical Center, spoke about the need for change in the way we treat hearing loss, noting, “Just as a doctor would now take a patient with elevated or slightly higher blood pressure seriously, we must do just the same with hearing.” Dr. Hertzano claimed that those who experience hearing loss oftentimes can suffer from loneliness and feelings of isolation. According to a recent study by the National Aging Committee, more than 11% of those with some form of hearing loss suffer from depression compared to only 5% of the general public. Dr. Harrison Lin, a scientist funded by HHF’s Emerging Research Grants program, and colleagues discovered that of the 48 million Americans who report experiencing some form of hearing loss, only about one-third of those actually seek out treatment. Based on the strong connection to hearing loss and its strong emotional side effects, testing for hearing loss and treating it is the best way to combat and prevent its underlying side effects. Hearing loss is an isolating condition for hundreds of thousands of Americans, but the scientists working for HHF hope to someday end that isolation. Jordan Conole is a freelance journalist who covers San Diego local nonprofits and charity events in the surrounding areas. As 2018 begins, many Americans, motivated to improve their physical and mental wellbeing, have already made the popular New Year’s Resolution to exercise more frequently. This commitment has an additional, lesser-known benefit; exercise is proven to preserve hearing health. Engaging in physical activity with proper safety precautions can delay or prevent age-related hearing loss, or presbycusis, which affects a quarter of adults 65-74 and half of those older than 75. Cardiovascular exercise is vital to hearing health as one ages. A person over 50 years old without a genetic predisposition to hearing loss and who engages in cardio for 20-30 minutes five times weekly is more likely to maintain a healthy auditory system than someone with low cardiovascular activity. In a decade-long Miami University study of 1000 subjects of all ages, those over 50 with moderate-to-high cardiovascular fitness levels maintained hearing sensitivity comparable to people in their 30s, effectively delaying presbycusis. Stretching and yoga are healthy alternatives to cardiovascular exercise. These activities facilitate proper blood flow throughout the body and activate the muscles. While stretching or performing yoga poses, it’s important to focus on breathing to increase oxygen and blood flow. There are even yoga poses designed specifically for those with tinnitus. The hearing health benefits of exercise can be negated by noise exposure or improper ear care, however. Listening to audio through headphones at a loud volume can increase one’s chances of Music-Induced Hearing Loss (MIHL), as can the music played during exercise classes. Turning down the volume on your device, wearing earplugs, and giving ears time to recover from loud noises can help prevent damage to the auditory system. Those who swim are encouraged to keep their ears dry. Moisture in the ear allows for bacteria, or even fungi and viruses, to attack the ear canal, which can lead to Swimmer’s Ear and cause temporary hearing loss. Dry ears immediately and do not insert anything, such as cotton swabs, into them. Health professionals strongly recommend everyone incorporate exercise into their daily routine. 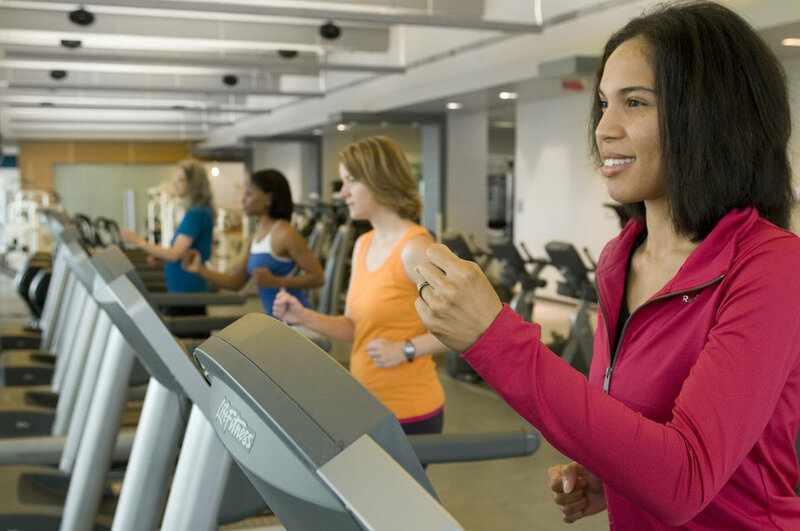 There are many benefits in maintaining a consistent exercise regimen and we can now add hearing loss prevention to the list. Before starting a new fitness routine, consult your physician to assure the routine is safe and suitable for your health.